This machine is special peeling ma-chine for milk-white peanut; it has characteristics of compact structure, and stable running. The material is automatically fed into peeling room form by two groups of abrasion roll from feeding dip-per so that revolve the coat of peanut. It is mainly used in peeling coat before producing milk-white groundnut, peanut butter and peanut milk. 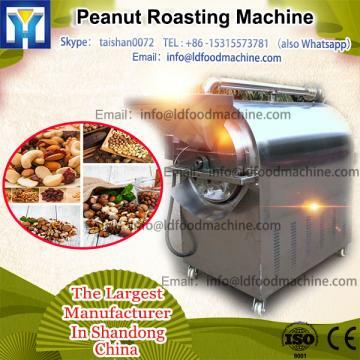 Working principle: put the roasted peanut into the feeding hopper, and then the peeling machine will finish red skin peeling and separating automatically.